Many people when hearing the word “junk: automatically think of the everyday garbage from their kitchen. A bunch of wrapping paper, some spoilt food and leftovers. However it can easily refer to the forgotten heap of old items in the garage or the attic that serves no purpose other than collecting dusts. If you’ve lived in a home for some time it’s only natural that you amassed some hidden rubbish without actually realising it. To help people like our company starter doing junk removals in Westminster several years ago. Know that you don’t have to tackle your office waste clearance project by yourself. Instead pick up your telephone and call us to come and provide your office junk removal services of the highest quality. We have the necessary tools and manpower to clear any type of rubbish from any type of office building. After all it is not a coincidence that we are presently the favorite waste collection company of the local business owners. Note that we also provide our office waste removals on a contract basis. Rubbish, however is not limited to just homes. There is plenty of junk in office buildings at construction sites and pretty much any place of human activity. Few things you do don’t waste some type of a resource thus accumulate waste. And when it comes to businesses besides the regular waste collection there are the occasional rubbish clearance needs related to upgrading the company inventory – computers, electrical appliances etc. If you finally decided to replace all those old CRT monitors (which you should have done a decade ago) used by your company in Westminster junk removal is the way to go. There is no other convenient and fast way to get rid of such amount of useless old items. To help customers such as yourself we can organise and carry out the entire rubbish removal. We’ve experience in dealing with almost any type of common material and types of junk – electrical appliances, old furniture, construction waste and so on. Our clearance specialists will not only handle the job fast but they’ll work clean, protecting the premises. Once done, all of the collected garbage is disposed at the nearest waste depot. Those pieces of junk that are actually viable for recycling will be submitted at the nearest recycling centre instead. We also actively promote charity initiatives so if a part of the items or certain objects are in a decent condition and you’d like to donate them – we can help you out. We work with a number of local charities and can deliver usable items picked up during junk removals in Westminster to them. Just set such items aside and we’ll take care of the rest. For more information you can call our number or send us an email. If you provide us with details about the location, access and rough estimate on the type and amount of the rubbish we can send you back an accurate non-obligatory quote. Obviously the City of Westminster is one of the most famous parts of London. Few places in the world contain so many world wide recognised historical monuments and landmarks. The number of must see places and site can go on and on but even the shortest description of local landmarks must include Buckingham Palace, The Houses of Parliament (i.e. Westminster Palace), Big Ben and Westminster Abby. In short – the four most iconic landmarks in London, that even people who’ve never set foot in the city can instantly recognise. Located in the central parts of London, the City of Westminster is home to some of London’s most symbolic parks including the extremely famed Hyde Park. The park was created in 1637 and covers an area of 625 acres. Hyde Park is beyond any doubt the most noted open space within the United Kingdom. Know that you do not have to break bank in order to benefit from our top quality Westminster, SW1, junk removal services. We calculate our garbage collection rates by taking into account the exclusive details of each rubbish disposal for which we are hired. We have chosen this pricing technique because it allows us to accommodate even the smallest budgets but most importantly because it give to our clients the peace of mind that they are getting the best value for their money. 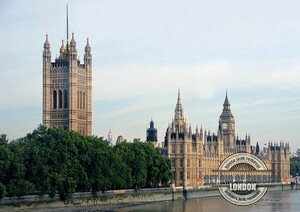 Madame Tussauds is one of the most famous museums on the planet and it is located in the City of Westminster, W1. The gallery was established by French wax sculptor Marie Tussaud and displays an immense collection of real-size wax sculptures of notable historical and current figures from all spheres of life. The venue is located in close proximity to another well-known and highly visited local gallery, the Sherlock Holmes Museum.